Rabbi Dovid Rosenbaum is the beloved Rav at Young Israel Shomrai Emunah of Greater Washington, located in Silver Spring Maryland. 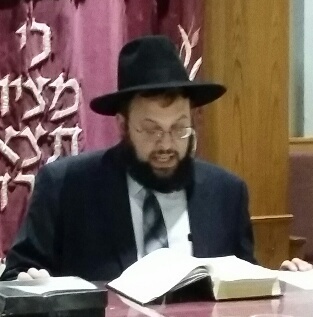 Before assuming this position Rabbi Rosenbaum was an Assistant Rabbi to Rabbi Gedaliah Anemer and prior to that he was Rav at Am Hatorah Congregation of Bethesda, Maryland. He is a musmach of the Yeshiva of Greater Washington and holds a BS in accounting from University of Maryland University College. He was also a Rebbe at the Yeshiva of Greater Washington from 2000 until assuming the role of full time Rav at YISE.